Kununurra’s most central waterfront location. 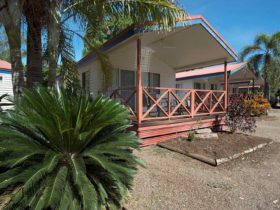 Kimberleyland Waterfront Holiday Park lies on the banks of Lake Kununurra overlooking spectacular ancient rock formations. The on-site modern Coffee Shop ‘Spilled the Beans’ knocks up a robust barista coffee, coffee so good that you line up with the locals. Kimberleyland’s Tour Desk can help you organise an exciting itinerary. 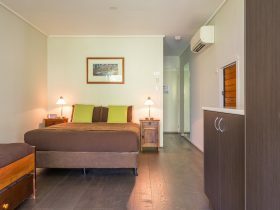 The park facilities offer you a stunning location at the waterfront of Lake Kununurra. 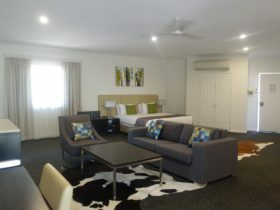 All this is available just a convenient one kilometre from the town centre. 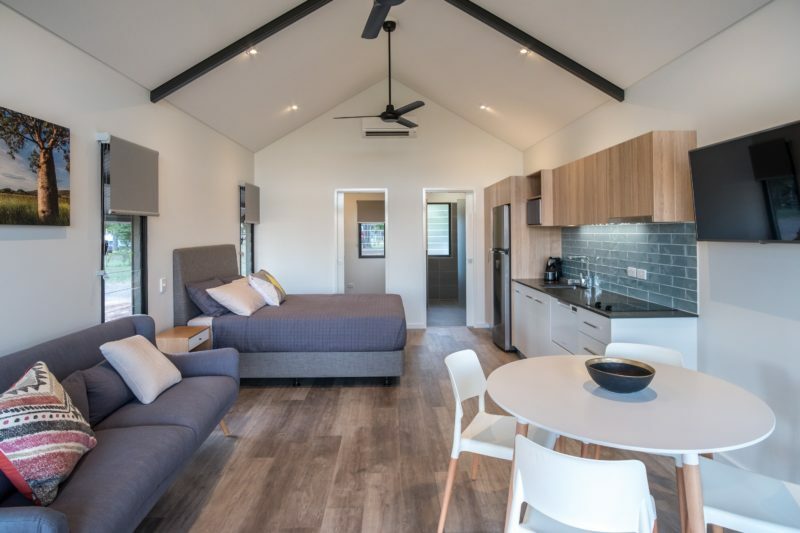 Poolside En suite Cabins – self-contained with kitchenette and alfresco deck. 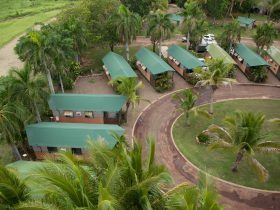 The cabins are fully air-conditioned with televisions, DVD’s and a comfortable bathroom to make your stay a pleasant one. Take a stroll down to the foreshore to watch the sunset, enjoy free entertainment or view the resident freshwater crocodile. The off-peak seasons offer great deals – please enquire. 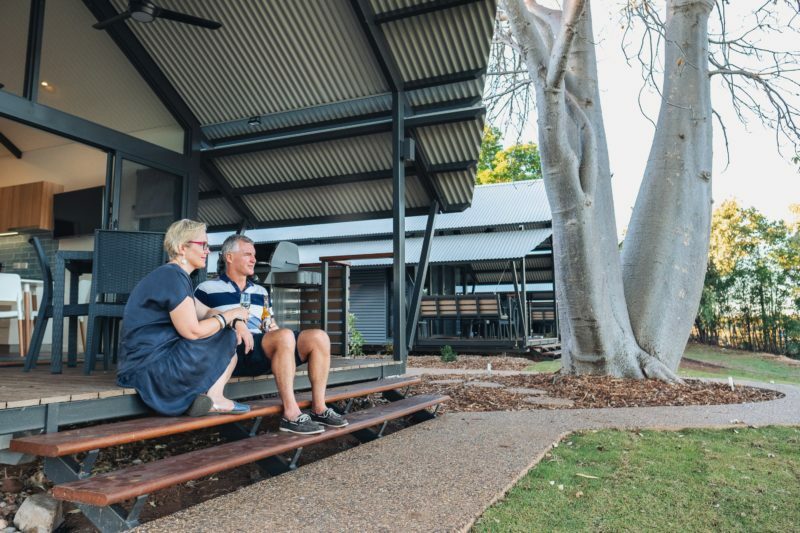 Large sites – choose from either paved or grassy area set among established shady trees – even ancient Kimberley boab trees. Line up with the locals with the best coffee in Kununurra available at the onsite cafe, “Spilled the Beans”. New to Kimberland Waterfront Holiday Park! 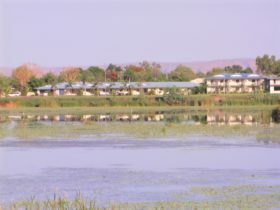 Kununurra’s most ideally located Deluxe Cabins on the Central Waterfront. 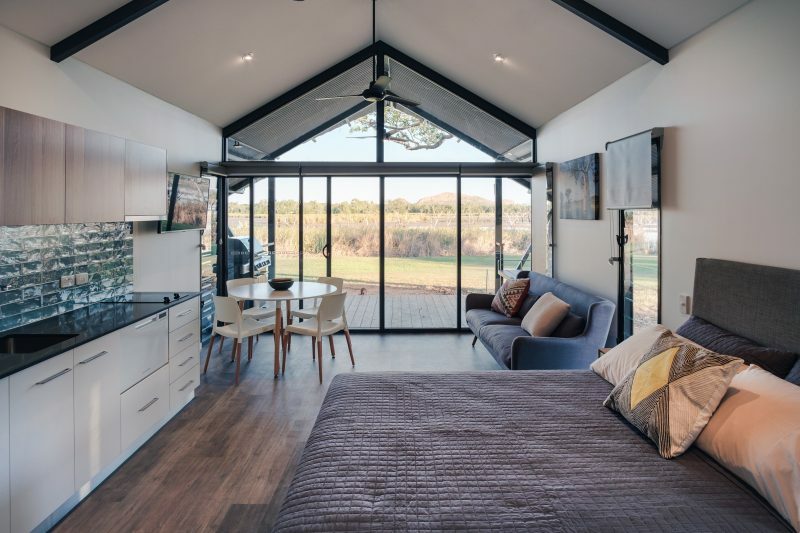 Accommodation offers may be available during the off-season. 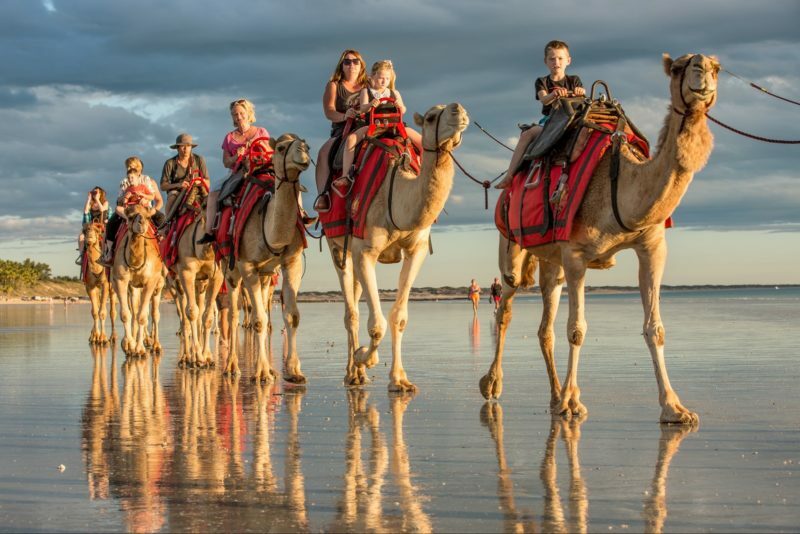 Look out for G’day Rewards (10 per cent off per stay up to AUD40) as well as exclusive G’Day Rewards Members only accommodation deals.